This is a rectangular Henley CMA Cables porcelain sign. 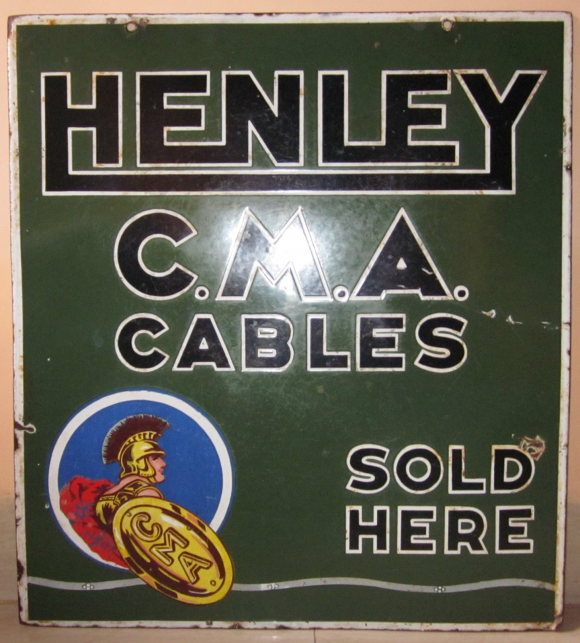 This particular Henley CMA Cables sign is green with black text. It reads, “Henley C.M.A. Cables Sold Here” and features a Roman soldier in the lower left corner.